To get money from ATM with Aadhar card number is really a great service which has started by some bank. With this, you need not ATM card. With this, you need not to remember ATM PIN number. So, there is no risk misuse of ATM card. If someone has the ATM card and ATM Card number, he is so powerful to get your all money. So, with this facility, you can stop such security risks. For example, DCB Bank has started aadhar based ATM machine in Mumbai ( Maharashtra), Malerkotla ( Punjab) and Bangalore(Karnataka). Just go to your local bank and ask for this. For exampe, Indus bank has made the AP just like virtual ATM where you need not to write password. You just touch the screen of banking app and you can transfer money for any purpose. Now, there is the keyboard of ATM. With the help of this, you have to write 12 digit aadhar number in ATM machine. 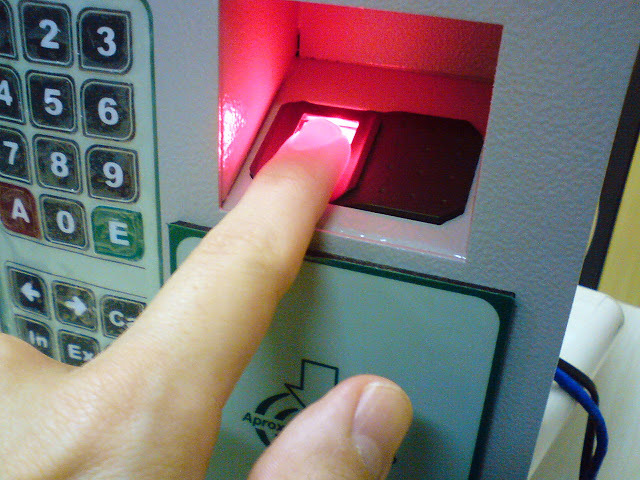 Then, you have to keep your any finger for your biometric scanner reading. It will authenticate that you are real customer of bank and owner of same bank account. Now, you will reach your ATM bank account where you can transfer or withdraw your money. There is no need of ATM card and ATM PIN for any transaction in the ATM. For getting this facility, you need to go to bank for linking your aadhar number with your bank account. Bank will connect your aadhar number with Aadhar server which authenticate your real id. So, no fake person can use your identity for getting money from ATM. If you want to link your aadhar card with your bank, you can use also net banking. Just go to my account where you see the option of aadhar card linking. Enter your aadhar card no. as input in it. Enter your mobile no. 's last 2 digit. You can also link your aadhar card number through ATM but for this, you need your ATM card and ATM PIN. You can also use ATM card and your fingerprint scanning if you forget your ATM PIN for all those ATM which are linked aadhar card and have the fingerprint scanner on the ATM Machine.